Laura Gonzalez is a resident Bruja and professional Tarotologist. Originally from Mexico, Laura came to the United States over 19 years ago, moving to the Chicago area, where she has built a loyal fan base among both Pagans and local community members. Born in Mexico City, she is a practitioner of traditional Mexican folk magic, Native Philosophies, North American Paganism, and the Goddess Tradition. A natural-born witch and psychic, Laura discovered her abilities at very early age, sometimes at the apprehension of those around her. In addition to her work as a natural psychic and Tarotologist, she also does consulting with a variety of deck types, including Spanish cards and Oracle deck cards. A Bruja in tune with the cycles of nature and the magic within, she is always willing to help those in need. Laura is a dedicated community activist, advocating for Pagan, LGBTQIA, and women’s rights. She has passionately worked towards suicide prevention, supporting such organizations as The American Foundation for Suicide Prevention and participating in their Out of the Darkness walks. Laura is co-editor of the e-zine, El Caldero (en Español), and the founder of Boletin Pagano en Español, a meeting place for Spanish-speaking Pagans. Her writings have been featured in El Caldero and Circle Sanctuary Magazine. Laura is an influential leader in the Latin American Pagan community; she facilitates open discussions, and teaches Spanish-speakers Pagan theory and practice across four continents. Laura has presented workshops privately and publicly at such events as Chicago Pagan Pride, Fort Wayne Pagan Pride, St. Louis Pagan Picnic, Circle Sanctuary, and Pagan Spirit Gathering. 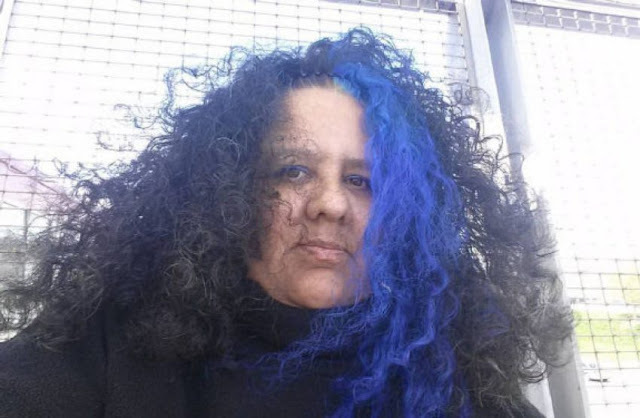 Ms. Gonzalez has been featured in several popular Pagan podcasts and radio shows, and has also served as a guest presenter on Saber Sanar and Pagans Tonight Radio Network. She also has her own popular Spanish-English weekly podcast, Lunatic Mondays - Lunes Lunáticos on Pagans Tonight Radio Network. In 2017, Laura began the Ministers in Training Program at Circle Sanctuary. In 2018, she was given the title of Priestess of the Goddess from the Goddess Fraternity (Fraternidad de la Diosa) with Christian Ortiz.